"Lucas, Skippy, Bertil and Level Up"
Since the Skippy bankruptcy there have been interesting developments. "Barber assets purchased by DeMonte Motorsports"
"Skip Barber Racing School liquidation sale"
Liquidation Sale! 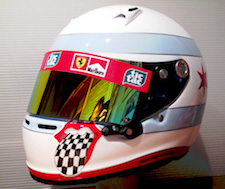 Skip Barber Racing School liquidation starts Aug. 29th & will run 3 months until everything is sold! 5489 Technology Parkway Braselton GA.
"Skip Barber Racing Files for Bankruptcy; Owes Lime Rock Park $1.2 Million"
One or Two Day Driving Schools "PBIR Track Notes"
HBD! : The ONE and ONLY Happy Birthday Thread! Looking for a secure way to keep my car. Urgent help needed. ISC to operate Laguna Seca? Most users ever online was 4,549, 12-19-2015 at 12:54 AM. Just a Rollin' Stone . . .
What do you think of the forum's new look?